From yesterday’s El Mundo, a clipping with a quotation that annoys me. 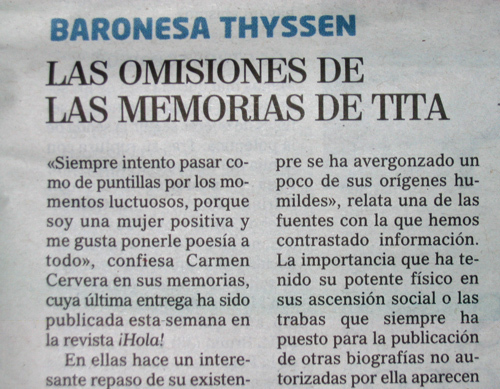 Baroness Thyssen has been writing her memoirs and they have been published in the Spanish society magazine ¡Hola!. It seems, though, that she has skipped over some of the facts and incidents that her (unofficial) biographers think relevant. Since when did poetry have to be associated with things that are positive and “nice”? I don’t think Tita, as she is popularly known, is stupid. Certainly, her wealth makes her powerful. 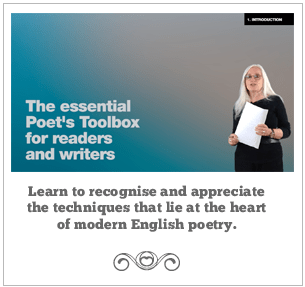 So I wish she wouldn’t encourage popular misconceptions about poetry.